Don’t let the ingredient list for Pineapple Coconut Bars deter you. The cake mix saves you steps. And while these bars have four layers, each layer has just a couple of ingredients. Each comes together quickly. 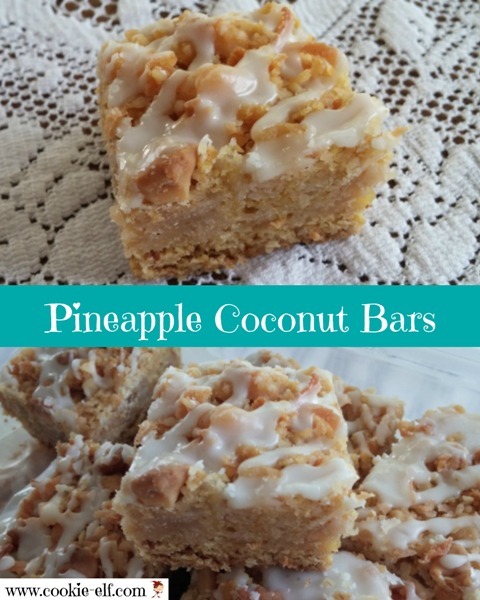 Get the full recipe for Pineapple Coconut Bars. And be sure to get more inspiration on our Bar Cookies Pinterest Board. Glaze over bar cookies can be tricky. If it’s too thick, it won’t drizzle easily. If it’s too runny, it will pour out onto bar cookies too quickly and be messy. As you make cookie glaze, add liquid just a little bit at a time to the powdered sugar. Stir and then use a spoon to test glaze. Scoop up a bit of the glaze and let it drip out of the spoon. If it is too thick, add a teaspoon (or less) of liquid, stir, and try again. 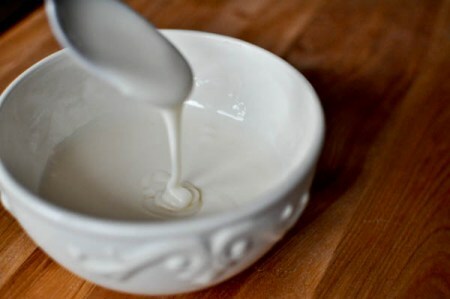 Repeat this process until the glaze is the right consistency for drizzling. Get more cookie baking tips from The Elf.